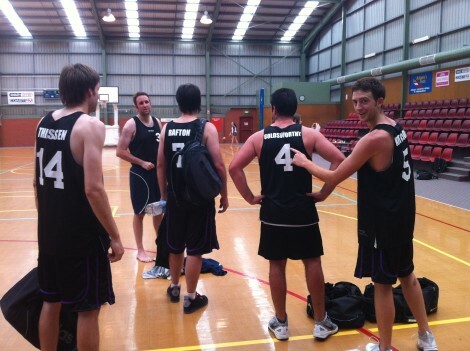 Warrnambool 2013 was once again, a roaring success for Melbourne Uni Basketball. Fielding 3 domestic womens teams, a Big V womens team, two Big V mens teams and 3 affiliated mens teams, there was always going to be a party on the dancefloor and the gallery once again, did not dissapoint. 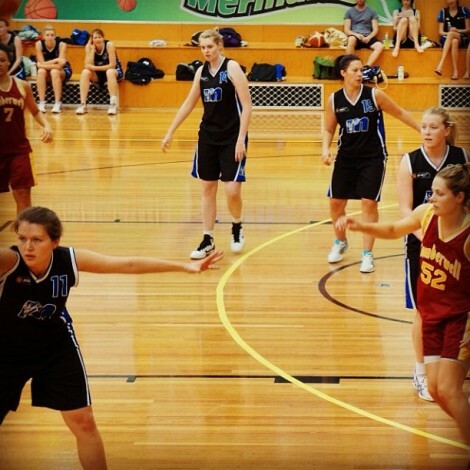 The Big V womens team coached by Kim and featuring Kylie Turnley, Rhia Mikkor, Gennevieve Heffernan, Gen's mate, Claire Edwards, Charlotte McNamara and Sophie McAllister put up a good fight in a closely contested final against Camberwell prior to going down by two baskets. Affliate mens team 'Melbourne Ballers' won A reserve against a Kevin Anstey led lineup. The boys had a lineup of ex Big V players from the MUBC mens program: Martin De Lange, Matthew Rafton, Jamie Thiessen, Daniel Goldsworthy, Jason Kotchoff and James Fidler. Affliate mens team 'Melbourne Ballers' also won A grade with a lineup of Nick 'The Missing Link' Masunda, Tiri Masunda, Scott Cuffe, Liam Norton, Jimmy Todd, Maalo Hicks, Andy Hogben and Stefan Pomesan. Read more in the tournament report by claw in the february newsletter! © Melbourne University Basketball Club 2019. This page was last updated by smoke on February 26th, 2013.